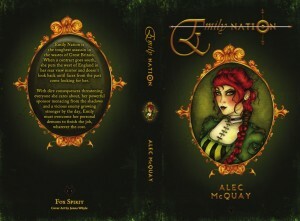 Emily Nation by Alec McQuay Review by S. Naomi Scott My rating: 4 of 5 stars [This review may contain spoilers.] At some unspecified point in the future, the world is an arid wasteland thanks to a war without explanation. Onto this stage steps Emily Nation the eponymous protagonist of this remarkable and thoroughly enjoyable … Continue reading "Christmas Countdown Day 13"